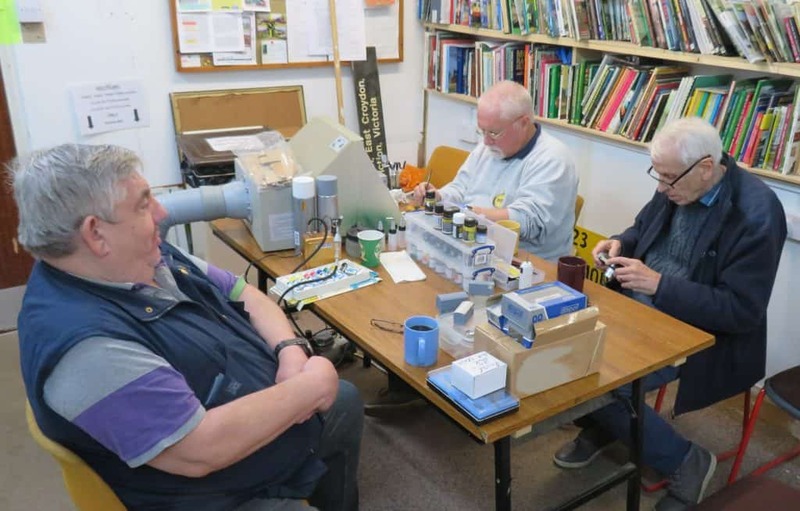 The club tries to organise at least one workshop per month to help share knowledge amongst its members. Members looked at different approaches to installing lighting in passenger coaches. A DC solution involved a very small circuit board that would easily fit in both OO and N scales. A DCC socution was also studied. Although the printed circuit board would easily fit in OO gauge, some trimming would be required to make it fit into N gauge. These fundamental components are at the heart of most electronic circuits. Members considered what resistance was and its relationship to voltage and current. Some experiments on the breadboards looked at resistor in series and parallel and how to make a potential divider. At the end of the session, members discussed how resistors were used in model railways. A late question let to a refresher on the use of multi-meters to measure voltage, current and resistance. Some details of past workshops in 2018 can be found by clicking on the photo below.